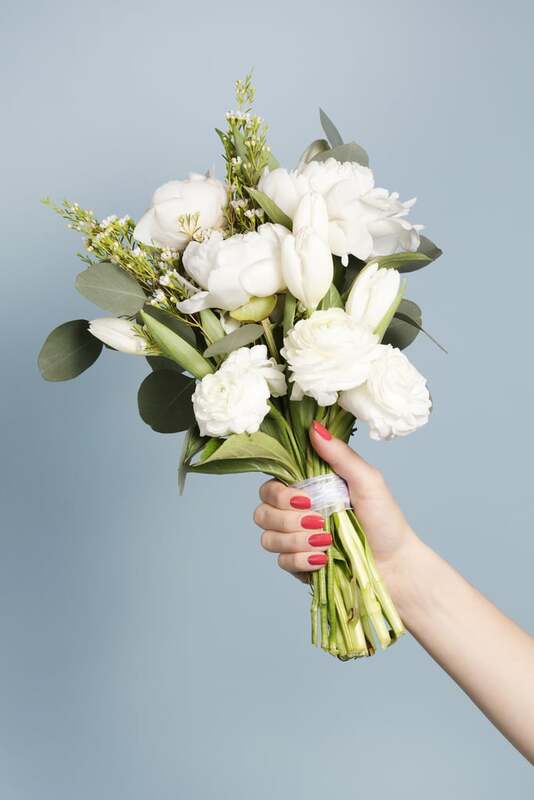 Looking for nail inspiration for your wedding? 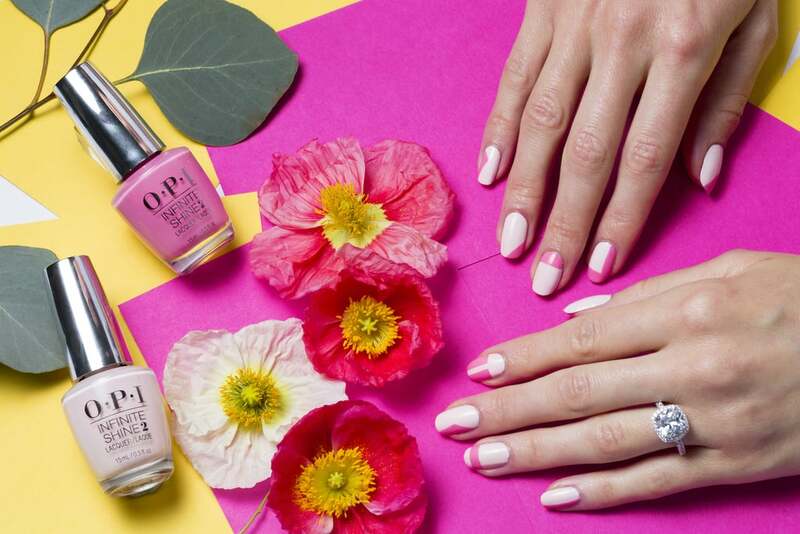 We partnered with OPI to feature four surprising shades that will look great wrapped around a bouquet. 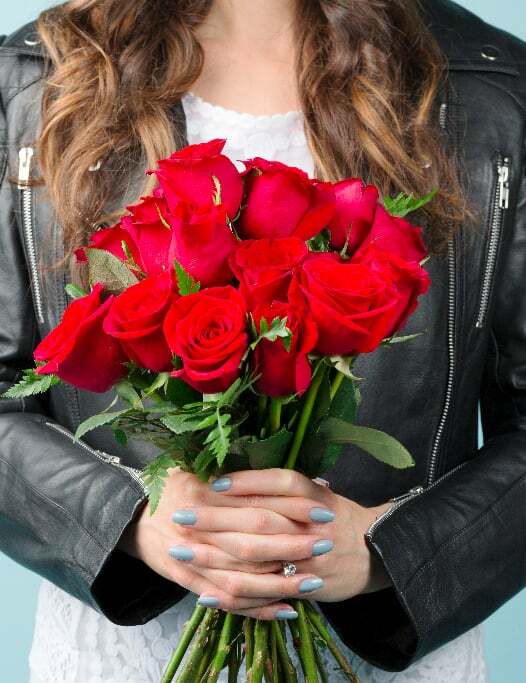 Have no interest in sporting a traditional french tip on your big day? You're not alone. With so many shades and designs available to choose from, you should feel completely in control of your prewedding manicure. So whether you're envisioning having a bash that's classic, romantic, punk rock, or fashion forward, we found four long-lasting colors that will shine brightly in all of your photos and last all the way to the honeymoon. 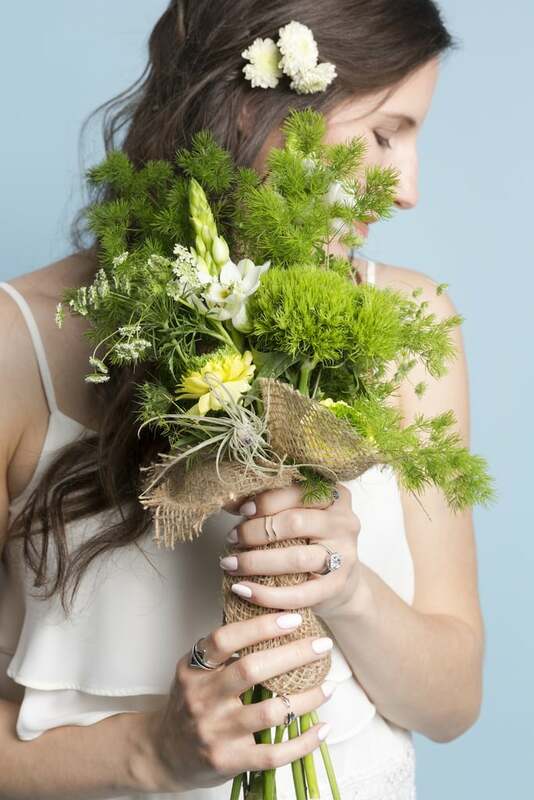 Your upcoming nuptials carry a lot of meaning — not only will you be committing yourself to your partner forever, but you also want to do so in a classically beautiful way. For your nails, that means In Familiar Terra-Tory from OPI's Infinite Shine collection. It's more subtle than your traditional red but still strong and romantic. You and your partner are walking down the aisle to your favorite Radiohead song, and as soon as the ceremony wraps, you're putting on your go-to leather moto jacket for family pictures. You wouldn't have it any other way, so you need a polish that complements your vibe perfectly. Try an airy blue like Reach For the Sky. 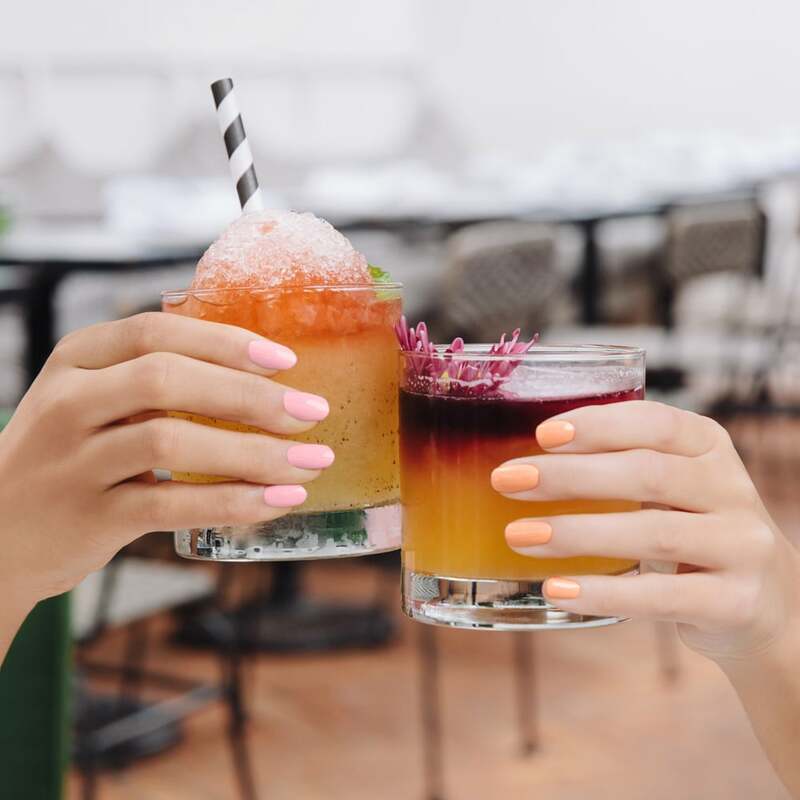 You already know exactly what you're going to do with your hair — long, messy waves, punctuated by a few daisies at the crown — you just need a little guidance when it comes to your nails. 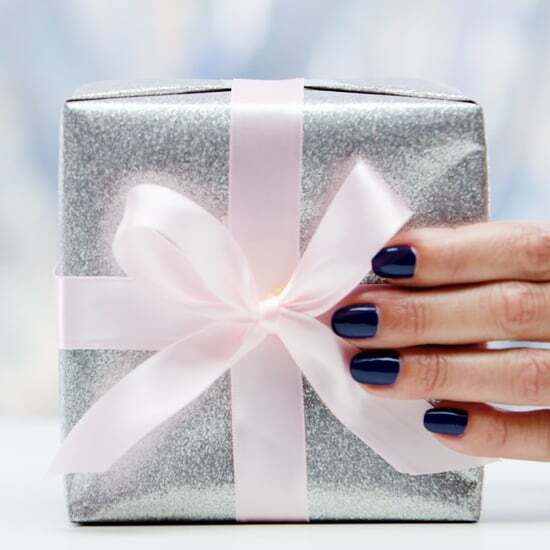 Because you'll be wearing a lot of thin, silver midi rings in addition to your engagement ring, you'll want to wear a feminine high-gloss shade, like It's Pink P.M.
You knew the minute your partner popped the question that you'd have a lot of fun with your manicure. You want something delicate but that will catch a lot of stares. 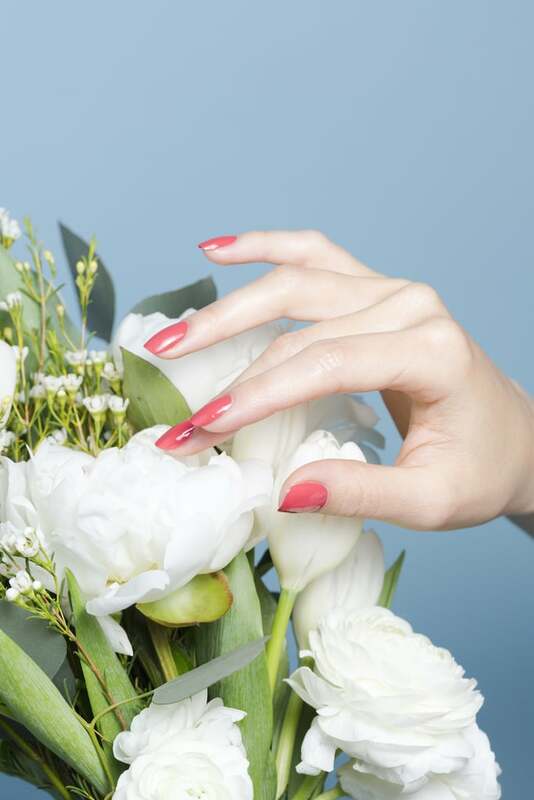 Try an architectural look on your nails, using It's Pink P.M. and Rose Against Time. Looking for further nail inspiration? Click here for more ideas!